Baloo is one of the greatest Disney characters in my opinion. He’s just so chill. And boy, he knows how to eat. 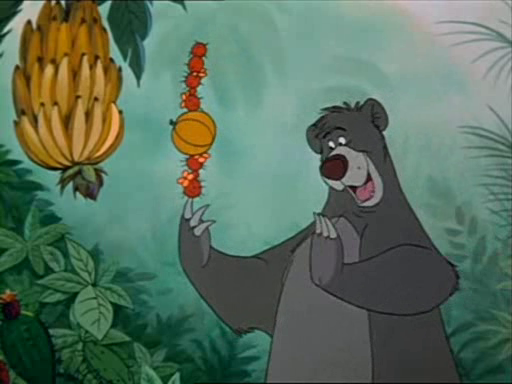 Almost all of the food mentioned in the movie comes from one song, Bare Necessities. There isn’t really a recipe, just lots of different fruits. So I did some fun things with them.